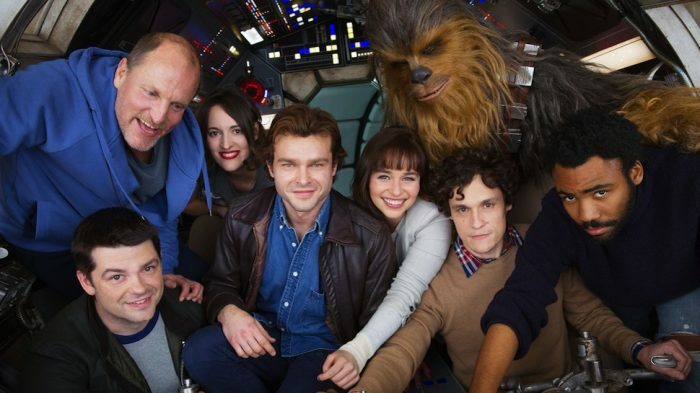 HOLLYWOOD – Phil Lord and Christopher Miller are to return to the set of Solo: a Star Wars Story and finish their version of the film. Disney announced today that Phil Lord and Christopher Miller are to be reinstated as directors of Star Wars a Solo Story. They will complete their version of the film which will be released in July this year. The decision came shortly on the heels of the reinstatement of James Gunn as the director of Guardians of the Galaxy 3. A source close to Disney claimed there was no connection. Everyone here thought that Solo was okay when it came out and it certainly made some money. But there were some heads being scratched as to how the movie was so dull looking. Partly this was Ron Howard but also the digital grading and the way the script had been changed. We decided it couldn’t hurt to have the boys back and see if they could put things right. Although the filming had almost been completed when Lord and Miller were fired, Howard apparently re-filmed the bulk of the movie. This means they won’t actually have much to film. They’ll add some new stuff to finish it. They need to have a couple of cast members back but not the whole cast. Ron Howard issued a statement. I’m very proud of the film I made. It was a huge thrill to be part of the Star Wars universe. Having said that, Lord and Miller are so good I can’t wait to see what they do. Solo: the Lord Miller Cut is out July 8, 2019.